Alan J. Forster MD, FRCPC, MSc is a general internist; Vice President, Quality, Performance and Population Health at the Ottawa Hospital; Vice Chair, Quality and Clinical Services, Department of Medicine, Faculty of Medicine, University of Ottawa . 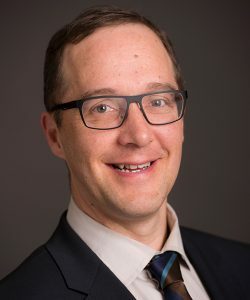 He is a Professor of Medicine at the University of Ottawa and Senior Scientist in the Clinical Epidemiology Program at the Ottawa Hospital Research Institute. His research focuses on patient safety and quality improvement. He has performed seminal work evaluating the incidence of adverse events following discharge from hospital. This work has lead to the development of strategies to improve care during the transition home from hospital. He is also leading in the development of a hospital data warehouse, which will serve as a supporting infrastructure for a research program in patient safety and quality of care. He has over 160 publications in peer review journals. He has served as associated editor for several prestigious peer-review journals. In addition to his significant contributions to a quality and safety program at the Ottawa Hospital, he provides ongoing scientific advice regarding the measurement of quality of care to national and international organizations, such as the Canadian Institute for Health Information, eHealth Ontario, Health Quality Ontario and the World Health Organization.